What can you find at the Museum of Making Music? 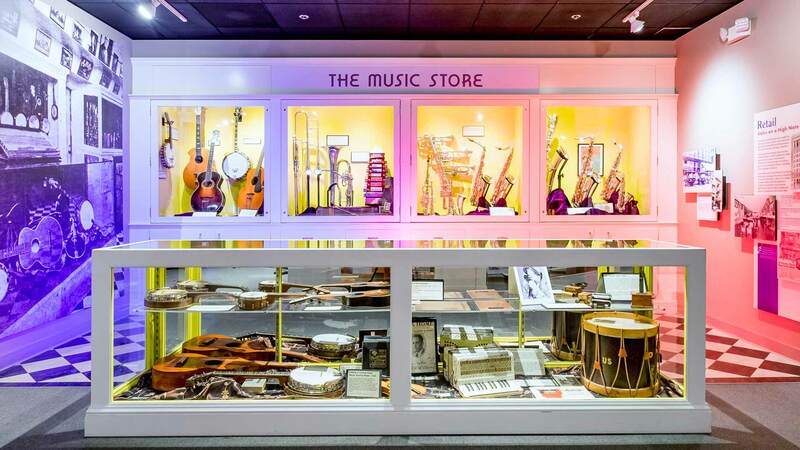 Making, selling, and using musical instruments, products, and equipment: that’s the essence of the music products industry and the heart of the story we present at the Museum of Making Music. It’s a story you’ll find educational and entertaining... and a story that will ignite—or maybe reignite—your own connection to music and music making. 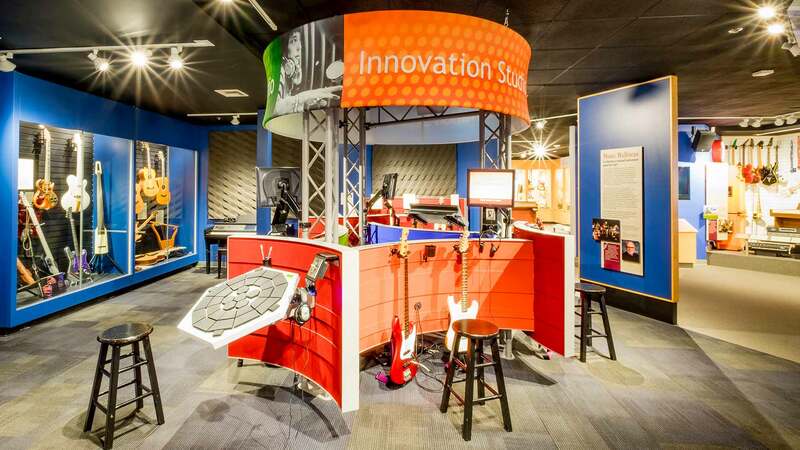 Instruments take center stage at the Museum of Making Music! 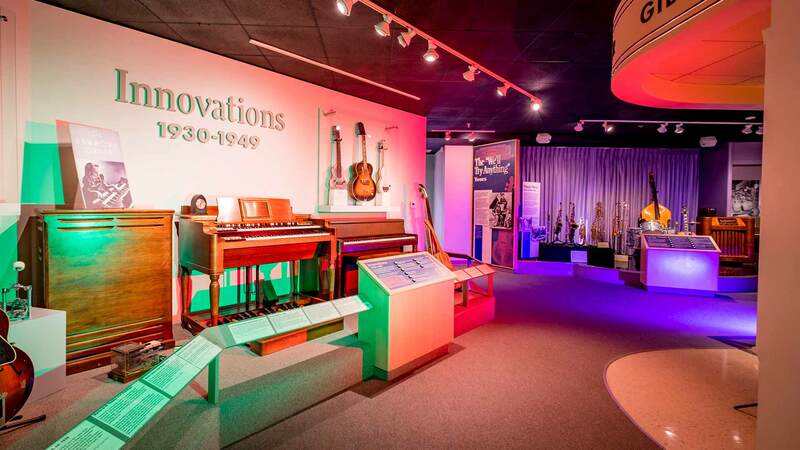 The core exhibitions explore how and why these instruments develop—who makes them, how we gain access to them, what they sound like in the hands of masters, and how they feel in your own hands! What genres and tunes defined our world from 1900 to today, and how did they impact innovation in musical instruments? What musical instruments have been developed over the last century? Who created them and why? Which ones experienced little change? How to the makers of musical instruments react to the ever-evolving world of music making? How do they take the lead in creating the soundtrack of our lives? How do instruments, accessories and products make their way to stores and into the hands of students and professionals? How do we learn of and about musical instruments? How have businesses communicated with us over the last century? Reminisce about music stores of yesteryear, and learn about the people and businesses that adapt to and survive the ever changing economic climate.